Those sneaky Dems and their “stealth accomplishments”. Last Tuesday, President Obama signed into law the Patient Protection and Affordable Care Act (H.R. 3590) — aka “Obamacare”. Today, Obama signed the reconciliation bill that was supposed to implement the “fixes” to Obamacare, as required by the House. But, they decided to attach the Student Aid and Fiscal Responsibility Act bill as a rider. Together with the original “fixes” bill, they are to be known forevermore as the Health Care and Education Reconciliation Act of 2010 (H.R. 4872). Huh? There is much that could be said about this, but I’ll leave most of it to others. I just have two questions I’d like to ask. My first question to our esteemed President and his Congressional comrades is, “What the heck does taking over student loans have to do with healthcare reform?” I don’t even remember this being mentioned until a few days ago. So, what gives? Well, not waiting for an answer, I did a little research and came up with an answer in two parts. 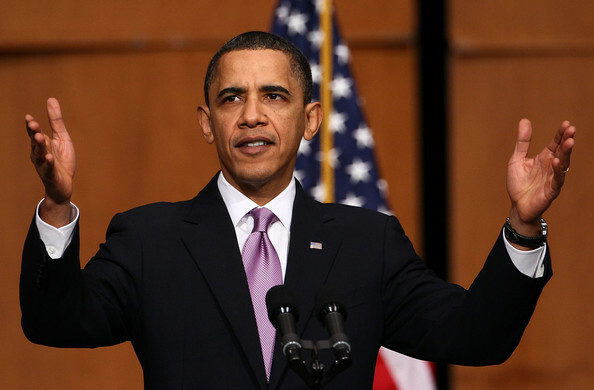 As a bonus, President Obama gets a two-fer added to his Progressive resume. Which brings me to my second question for Obama et al. “Where are you gonna get the money to lend to the students?” The federal government won’t just be subsidizing & guaranteeing student loans anymore. Now it has to loan the entire amounts. After spending so much money already and putting the nation in more debt than it’s ever been in (and getting worse), where will the federal government — specifically, the Dept. of Education — get the funds? My guess is a combination of taxes, fines, shuffling government monies around on paper, maybe borrowing from banks(? ), etc. In other words, more pain for the taxpayer. And don’t get me started on the government’s history with running student loan programs…. Rumor has it that this bill also provides “$2.55 billion to support historically black colleges and universities and minority-serving institutions”. Hmmm. If those groups are being singled out, that sounds like reverse discrimination to me. But, if I asked about that, I’d probably be called a racist. So, I won’t ask. P.S. If you read the U.S. News article (which is overwhelmingly pro the student loan part of the Act), be sure to check out the reader comments titled “My Two Copper Coins…” (for some additional points from the other side) and “A little history on student loans” (for a first-hand account of why the govt should not be in this business). Stupak and the Blue Dogs caved / drank the Kool-Aid / got bought off — don’t hold your breath for that executive order, Bart — and the Senate’s bill passed the House. Now what? Some on the Left (and part-time Republicans like David Frum) are saying that the passing of Obamacare signifies a “Waterloo” moment for the Republicans & conservatives. 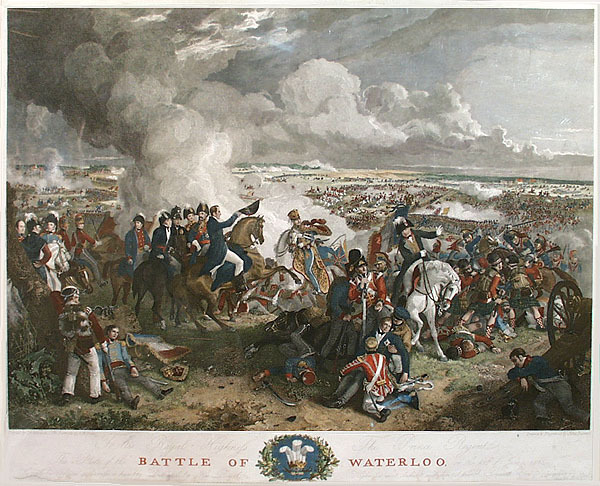 Now, I don’t know much about the Waterloo Campaign, but I understand that Napoleon’s defeat at the Battle of Waterloo marked the end of the war and the end of Napoleon’s rule. So, I guess this is supposed to be it for the Republican Party as we know it — the end of any meaningful resistance to Obamacare and the end of the days of influence/relevance for the GOP and its supposedly heartless, hatemongering, “Right Wing Conspiracy” cheerleaders. Naturally, I disagree with the sentiment. For one thing, the poll numbers for Obamacare were clearly in our favor — somewhere between 60% & 70% were/are against it. Other surveys indicate that America still leans conservative. We may be down, but we’re not out. If I was a better student of military history, I might be able to come up with a better metaphor. I’m thinking maybe something to do with George Washington and his battered & beleaguered troops in the American Revolution. There were many battles, and they suffered many defeats. Yet, through a combination of “luck”, Providence, perseverance, bravery & skill, and the overconfidence & arrogance of their enemy, the American colonies won their independence against the superior numbers of their elitist, tax-obsessed oppressors. See the parallels? The Obama-Pelosi-Reid machine combined the radicalism of Alinsky, the corruption of Springfield and the machine power politics of Chicago. Sunday was a pressured, bought, intimidated vote worthy of Hugo Chavez but unworthy of the United States of America. 3) Over 3 dozen state governors and their attorneys general are suing Congress — 14 have already filed — for passing an unconstitutional law. Of the two main issues that come up, the first is the mandated health insurance. The argument (with which I agree) is that the Constitution gives no authority to the federal government to force any citizen to purchase any good or service, let alone from any particular merchant/source(s). The other concern is the unsubsidized billions of $ the states will have to come up with to support the millions of additional people being put into the Medicaid program. Most states are already casting about for ways to meet their budget; they can’t afford to have this thrown on top, too. 4) Meanwhile, a few states (beginning with Idaho and Virginia) are passing legislation to exempt their citizens from parts of Obamacare like “being forced to purchase government-approved health insurance.” As with the above lawsuits, the matter of federalism is also at issue. By instituting these federal laws, is the federal government infringing on the states’ sovereign rights? 5) It doesn’t really matter now, but had the “deem and pass” strategy been utilized by Speaker Pelosi to force Obamacare through without a House vote, Mark Levin — popular conservative talk-show host and constitutional law scholar — had already drafted a lawsuit to be immediately filed against President Obama, Att. Gen. Eric Holder, Sec. of Treas. Timothy Geithner, & Sec. of HHS Karen Sebelius for allowing such an “unconstitutional contrivance” to be used. (Not sure why Pelosi and Reid weren’t included.) Sort of a moot point now, but I am glad someone was prepared to challenge that ridiculous maneuver in court. There may still be opportunity for a similar challenge…. 6) Stay Active! We need to continue to write; call; sign petitions; attend rallies; volunteer & donate to conservative candidates, PACs, Tea Parties, and other groups; etc. Let the current administration and its cohorts know that we will not stand idly by as they transform us into the European Union West. The rhetoric from the Right must be challenging and forceful, yet respectful (of persons & offices, not ideas). Marxist thought may be tolerated in America — people are free to read, say, and believe what they want — but it is, arguably by definition, NOT American and should have no part in our government. 7) Take back Congress and Take back America! In November 2010, we can begin voting out/against any candidates who aren’t & weren’t fully against Obamacare. We cannot let a few months’ time wash from our memories the stain that they left on the Constitution and our freedoms. We must vote solidly conservative leaders into office, so that they can begin repealing Obamacare, either in pieces or as a whole, if possible. We must replace it with REAL healthcare reform — common-sense, patient-centered, market-driven, and not under Big Brother’s control. There’s been much talk about ‘reconciliation’ but candidly, it’s overrated and perhaps even a red herring. Here’s why. The president will sign the original Senate bill, HR3590, into law immediately following House passage. That means BEFORE the Senate takes up reconciliation. A ruling last week from the Senate parliamentarian requires that to be the sequence. So by the time the Senate is debating reconciliation, they will be tweaking a disastrous bill that is already law. So when you hear the president and others say the Senate will ‘continue to work on improving the bill in reconciliation,’ don’t be fooled. Let’s hope & pray the Blue Dogs and fence-sitters hold out and don’t give into the peer pressure they must be feeling from Obama, Pelosi, and the rest. (And that they can’t be bribed or lulled into thinking it ain’t so bad.) If you haven’t yet contacted your Congressman/woman to let them know you expect them to serve the will of the people and vote against Obamacare, now would be a good time. 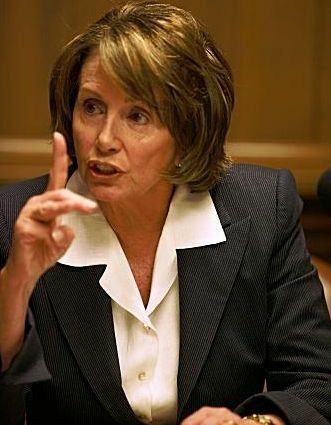 Yeah, I hate to say it, but there is at least one thing on which I agree with Nancy Pelosi. Sometimes there are things more important than keeping your job. Sometimes you have to act based on principle, even when it puts in jeopardy certain comforts & privileges to which you have become accustomed. On today’s edition of ABC’s “This Week”, Speaker Pelosi urged her fellow-Democrats to vote for Obamacare, no matter what. “We’re not here just to self-perpetuate our service in Congress,” she said. “We’re here to do the job for the American people.” (Has she really listened to the people, lately?) This statement seems to acknowledge the idea that several House Democrats who are up for re-election this year are in danger of losing, if they support the current health care legislation. It also means Pelosi is well aware that she may not have the votes she needs, yet. She’s scrambling. Will those moderates who are at risk listen to their leader? Ironically, for the sake of the country, I hope they selfishly choose to ignore her. ACORN is falling apart, and it couldn’t happen to a ‘nicer’ group, I say. “ACORN has dissolved as a national structure of state organizations” due to “diminished resources, damage to the brand, unprecedented attacks,” according to an anonymous senior official. “[E]ach of the states are developing plans for reconstitution independence and self-sufficiency… under new banners and new bylaws and new governance.” Check out Ben Smith’s blog at Politico for more details. 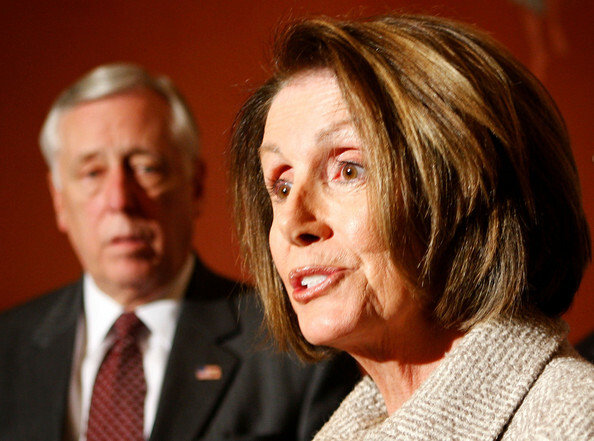 Seems I may have jumped the gun when I indicated Pelosi had a clear majority of votes to pass Obamacare in the House. America’s Watchtower blog gives a nice synopsis of why this ain’t necessarily so. I mentioned resistance from the Blue Dog Democrats. With the (pro-life) Stupak amendment language now removed from the bill, half of the Blue Dogs are prepared to vote “Nay”. I should’ve checked the numbers myself. As Mr. Pink Eyes points out, “The original bill only passed by a 220-215 margin so this news could stop the president’s version of the healthcare bill dead in its tracks. And Stupak claims that these Democrats have more issues with the bill than just the abortion language -– including the plan to tax ‘Cadillac’ healthcare plans.” Yay, Blue Dogs! Have you, like me, been wondering where all that bailout money went? Check out this post by Merty over at the Energeia blog. He gives a nice explanation of what got the investment banks in trouble, then looks at what AIG, in particular, has done with their bailout money. Oh, and there is a “slimy and secret cover-up from the Administration” involved, too. In my original post titled “So, Republicans Don’t Have Any Better Ideas, Huh?“, I explained some of the healthcare reform ideas proposed by Congressmen Paul Ryan, R-WI, and Tom Price, R-GA. I also mentioned the “GOP Solutions for America” document given the President by John Boehner, R-OH. 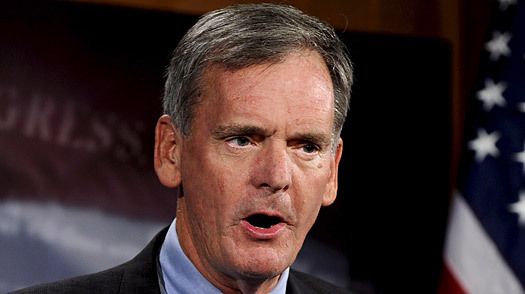 One of my readers reminded me that Sen. Judd Gregg, R-NH, had also presented a number of ideas on healthcare reform. Gregg isn’t always the most consistent conservative, but I decided it only fair to give his set of proposals, known as “Coverage, Prevention and Reform” (CPR), a look, too. “Gregg’s plan… parallels some of the key ideas in the Democratic plans, but it is more aggressive in trying to control costs and less ambitious in extending the federal government’s role as an insurance regulator. Similar to that the Democrats, Gregg’s plan would require everyone over 18 to carry at least basic coverage. And he would provide federal subsidies for households making up to three times the federal poverty level, or about $66,000 for a family of four. The plan would be financed by taxing employer-sponsored coverage above certain limits. That’s a nonstarter for many Democrats, but economists say adopting such a policy would begin to push down health care spending, allowing for expanded coverage without busting the budget. Gregg would also encourage employers to offer discounted premiums for workers who take steps to live healthy lives, and his plan shifts payments for hospitals and doctors to reward quality care rather than sheer volume of procedures and visits. I’m not crazy about a couple things there (e.g., federally mandated insurance coverage), but overall I think Gregg has presented some interesting ideas. As yet, Sen. Gregg has not been invited to this week’s health care summit, but it’s possible that Senate Republican leader Mitch McConnell, R-KY, may ask Gregg to be part of the GOP delegation. 3) Meet the needs of the chronically ill. Educate & supply family caregivers. Facilitate more Health Savings Accounts (HSAs), as well as self-management of custodial services and medical care for the homebound disabled. Encourage providers to offer specialized plans for those with chronic diseases. 5) Don’t cut Medicare. Obamacare would cut Medicare funding by roughly $500 billion. Sure, Medicare desperately needs fixing, but “cutting Medicare in order to create new unfunded liabilities for young people” won’t do it. 6) Protect early retirees. Need to a) allow employers to obtain individually owned insurance for their retirees at group rates; b) allow them to deposit some or all of the premium amount for post-retirement insurance into a retiree’s HSA; and c) give employers and younger employees the ability to save tax-free for retirement healthcare. 7) Inform consumers. The public should have access to (genericized) Medicare and government data about costs and quality of care before making their own healthcare decisions. 8) Eliminate junk lawsuits. The time for studies and tests is over. The federal government should follow the lead of states like Texas, which have already implemented effective civil justice reforms (e.g., caps on non-economic damages, loser pays laws, alternative dispute resolution, etc.). 10) Make medical breakthroughs accessible to patients. Cut bureaucratic red tape in FDA’s review process and implement quality-monitoring technology in the marketplace. Sounds pretty darn sensible to me! Yet, despite various Republican/conservative groups & individuals presenting their alternatives, the President still makes statements like, “The Republicans say that they’ve got a better way of doing it. So, I want them to put it on the table,” as he did at a recent campaign event for Sen. Reid. Either he has the memory-span of a goldfish, or he is intentionally misleading the public (via the MSM) to perpetuate the “no ideas” myth, or he will only consider such ideas “serious” if they are presented in 1000+ pages of detail. Somehow, I don’t think even that would be sufficient to get him to change his Big Government / big spending / nanny-state mindset. But, what’s the point, really? I don’t think I’m being cynical, here. It’s just that the plans are already in place to ram Obamacare through, regardless of what Republicans or the majority of The People have to say about it. The Democrats are sticking with what want, what they’ve got, and aren’t really interested in other ideas or approaches. Senate and House leaders (i.e., all Dems, remember) have been working for weeks on forging a compromise on their two versions of Obamacare. Early this week, the President will be revealing his own version of a healthcare reform bill, which will no doubt be a close reflection of what Pelosi, Reid, et al. are putting together. And it has been made clear that the Democrats are ready to use the reconciliation procedure to force through whatever they settle on — a highly questionable move, at best. So, why should Republicans even show up at the summit? Mainly, because not doing so will play right into their opponents hands, “proving” that they are unreasonable obstructionists who won’t even attempt to play ball. Plus, attending gives Republican leaders another chance to voice their alternative ideas in public, since the summit will be televised. Despite this, IMHO, this week’s summit is really a sham. It’s an opportunity for the President to pretend he’s suddenly ready-n-willing to seriously consider what the Republicans are saying, encourage his fellow Democrats to stay firm in their quest to pass Obamacare, and get some good press. I seriously doubt much will really be accomplished toward “fixing” the current legislation, so that everyone is even partially satisfied. The Dems will still try to push through the travesty that is Obamacare via reconciliation, as planned.